We have explored the length and breadth of every one of Tanzania’s breathtaking national parks and have built strong friendships with our local partners. This ensures that we can offer every guest the most rewarding and unforgettable experience, with the finest accommodation, the best guides in the business, and our trusted suppliers. We return to Tanzania three times a year to nurture these relationships and to make sure that all of our recommended lodges and camps are living up to our high standards. We are committed to only working with local partners who adhere to all principles of Fair Trade Tourism (where they employ only qualified local staff and pay them well above average rates), and make a true difference to the lives of local people and the future of our planet. We also encourage our clients to engage with the local community during their travels by connecting them with inspiring local initiatives that strive to support the lives of everyday Tanzanians. A percentage of the cost of your trip will go towards supporting carefully selected local charities that help women and children with disabilities. We will also provide a sustainable sponsorship program for Tanzanian students who cannot afford to continue with their studies due to limited family income. We believe that being a part of something bigger than ourselves is a way for us to leave a precious mark on this beautiful planet, so we invite every one of our guests to leave their footprint, too – wherever the journey takes them! Your safety is our top priority. We provide complimentary instant medical evacuation cover (AMREF Flying Doctors Service) for all our guests, throughout their journey with us so they can embrace their experience with complete peace of mind. Just to be on the safe side, we also highly recommend that all of our guests obtain their own personal travel insurance, prior to travel. We specialize in the details that turn your safari experience into world class, once-in-a-lifetime memories. 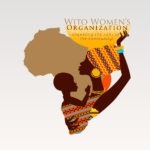 Our Wito Africa specialists build your dream safari around you, to provide personal enrichment, enlightenment, stimulation and engagement that is perfectly tailored to you. We take care of every element of your safari, from beginning to end, and check in with our local partners regularly to make sure that everything is going according to plan for you. When your adventure finally comes to an end, we will follow up with you to hear all about your experience. From the moment you reach out to us, our specialists will work alongside you to understand your hopes and expectations and will guide you through the planning process. We pride ourselves on our personal, honest advice, which will allow you to make informed decisions and get the most out of your time and budget. With many years in the safari tourism industry, we understand the importance of being responsive and resourceful, so that your experience is stress-free. We have excellent and considerable logistical support on the ground to ensure that even your smallest needs are met, and no detail is overlooked. As much as we love to share our passion for Africa with you, we also want you to get the most out of every travel dollar. Over many years of working and living in Tanzania, our team has built strong relationships with Africa’s top camps, lodges and other local suppliers, allowing us to simply pass along our best rates to you. A safari booked through us will never be more expensive than it would have been if you had booked directly. In the very unlikely event that you find a cheaper quote for the same trip from a reputable North American tour operator, we will match that quote. Wito Unlimited Game Drives – Each private safari is guaranteed to offer unlimited game drives, with no mileage restrictions and exclusive access to the most intimate and wildlife-abundant areas in East Africa. If you’re feeling even more adventurous, we can organize private bush dining experiences and/or picnic lunches in the middle of the wilderness, giving you the flexibility to stay out on safari all day and maximize your wildlife viewing in Tanzania’s incredible wilderness. Wito Sunrise Experience – We are committed to making your trip as special and unforgettable as it can be. Our early morning (before sunrise) game drives are perfect for those early risers who wish to be the first on the scene and see the wildlife at its most active. An early morning game drive also offers better light for photography, fewer vehicles and cooler conditions.